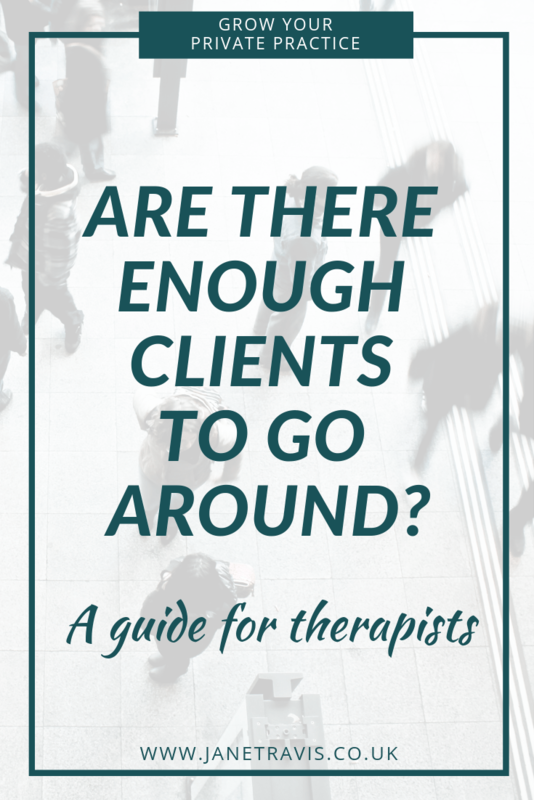 With so many people training to be therapists, are there enough clients to go around? 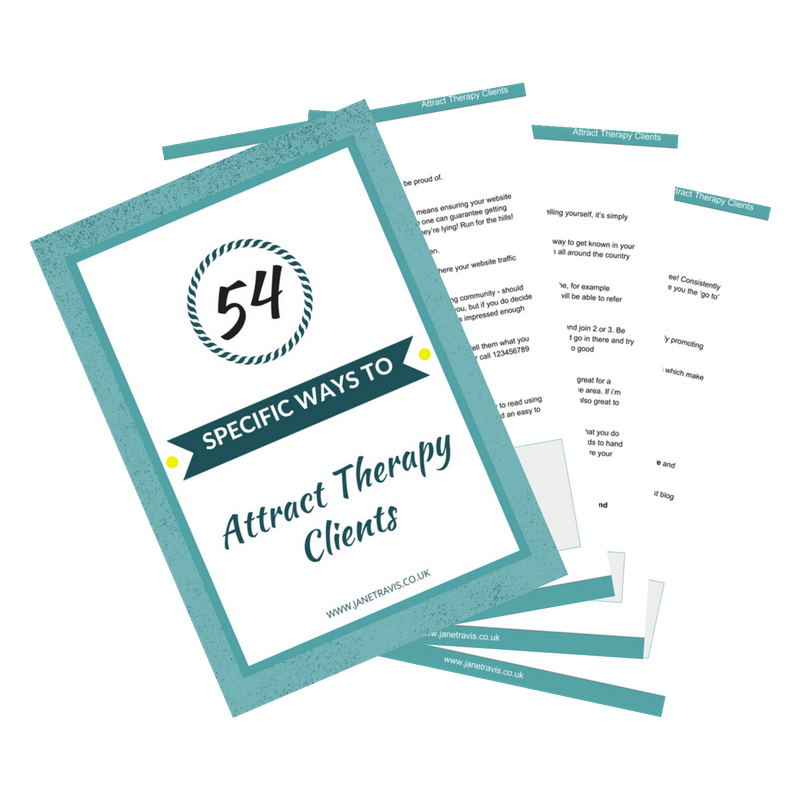 I hear a lot about the difficulty therapists have attracting clients, especially at the start of their journey into private practice. So you decorate the spare room, have some business cards made and put an advert in online directories. But the phone doesn’t ring, and you start to feel demoralised. I hear a lot about the myth of the saturated market and for a while I totally bought into it. I’d bemoan the squillions of training providers for training up new therapists when clearly there weren’t enough jobs or private clients to go around. I’d grumpily blame the BACP for not doing something about it, and even start feeling threatened when I saw new names popping up in my area. I live 6 miles from Lincoln, my closest city, so I’d blame all the new therapists that are closer to Lincoln for pushing my details on to page 2 on online directories and therefore stealing my clients. Does that make me sound really awful? LOL yes, of course it does, but d'ya know what? I bet I’m not the only person to feel that way! There are many organisations moving heaven and earth to remove the stigma around mental health issues and make both talking to friends and family and accessing help easier. Rethink Mental Illness: 'Our goal is a better life for everyone affected by mental illness'. Mind, who say 'We won't give up until everyone experiencing a mental health problem gets support and respect'. And there will be similar all over the world. These are just the ones that immediately came to mind, there are hundreds of smaller organisations dedicated to raising awareness of mental health issues and actively campaigning to reduce stigma with the aim of ending the shame around these issues and making it easier to access help. There’s a long way to go yet, but the work being done is simply amazing. What that means for therapists is people are more likely to seek out help. Watch any show on TV, and you’ll see that people are often directed to get help. Jeez, even Jeremy Kyle has his own dedicated on show counsellor! Going to counselling is no longer seen as something for the crazy, weak or self indulgent, it's seen as a way to get help. It's being normalized. Accessing #therapy is no longer seen as something for the crazy, weak or self indulgent: It's simply a way to get help. And of course, I don't need to tell you that we don’t just work with people struggling with mental health issues. We also work with loss of direction, bereavement, eating disorders, relationship issues, communication, trauma and PTSD, self esteem etc etc. Recently, therapy got the royal seal of approval. Prince Harry spoke out about his own experiences and how counselling helped him deal with issues following the death of his mother. I loved Harry before this: now, I love him just a little bit more. People are understanding the impact life can have on us and starting to understand that counselling is a way of helping themselves. When I first started in practice in 2005, having your own website was in its infancy. I advertised in the local newspapers and in the yellow pages, which were both expensive and I had no control over placement and who would see them. Now, if I want to know something - anything! - I fire up Google and in a millisecond I have the answer. This really opens up how we as therapists market our private practices. We can write a blog which helps and informs our ideal clients, and then share that blog all over social media without ever crossing any personal disclosure boundaries​ and all for free. We can use our Twitter/Facebook/Linkedin/Instagram/Pinterest etc accounts to help people by sharing both the blogs we produce AND other peoples blogs on topics they will find useful. We can let people know where we are and what we do, and we can let our warmth and knowledge shine through so ​when people need us or know someone that does, we'll be in their mind. And if we choose to advertise, Google AdWords and Facebook ads can be target to specifically attract our ideas clients. If your niche is working with stressed businessmen, you can directly target males aged between 30 and 50 that run their own business for just a few quid. Yes, it makes us feel uncomfortable that Facebook has these details but equally it's fabulous for marketing. 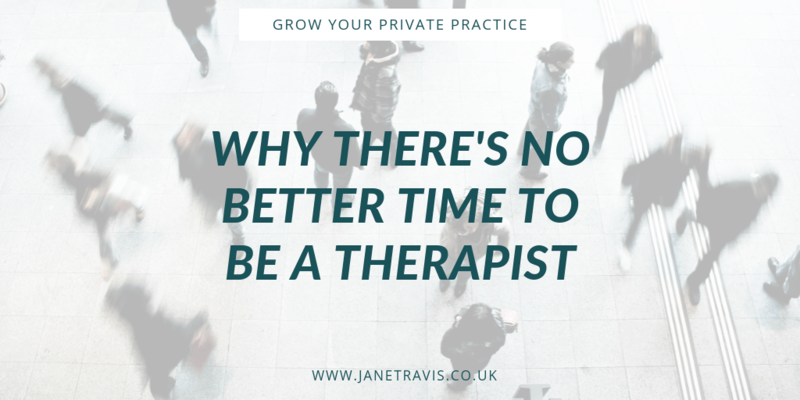 What does this mean for private practice therapists? Which is why more people than ever are training to be counsellors! Get active and start to attract clients to you via your website, blogging, having a niche, networking, using social media effectively​, starting a newsletter etc. It doesn't have to take huge amounts of time - if you actively plan what you're going to do and get focused. Related post: Do You Have Time For Business? Some don't have the money to access private therapy, that's true and that's a subject for another blog. But many people can, and will, prioritise their health and wellbeing. So when they are looking for a counsellor, make sure it's you they pick.